Big news this week in the world of Emilybooks. This beloved belated birthday present from the husband joined us on Saturday morning, when we went and bought her from a very friendly pet shop in Essex. 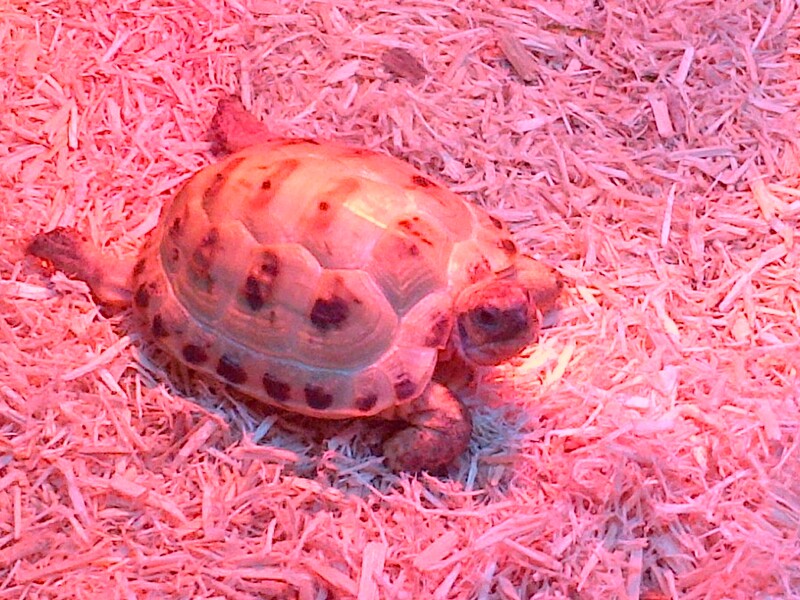 You’ll be pleased to hear that she is settling in well – enjoying bathing in the warm rays of her special heat lamp before pootling off to explore our flat. It is very peculiar trying to get on with my work while Daphne is here, scrabbling around. It is lovely to have a bit of company, a wise reptilian companion. I feel sure that we are already establishing a rapport – funny things like we both yawned at the same time this morning. And she wouldn’t touch her breakfast until I started munching my bowl of cereal. Perhaps I’m reading too much into this. 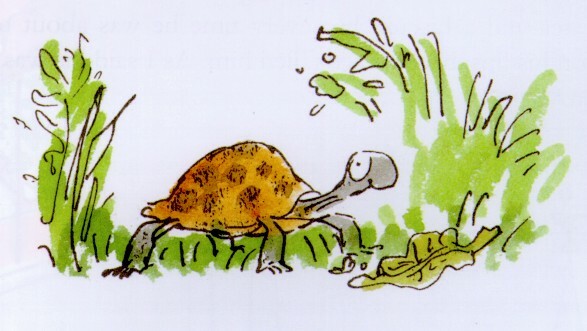 As I am so tortoise-brained this morning, and to welcome this marvellous little creature into the world of EmilyBooks, here are my Top Five literary tortoises. 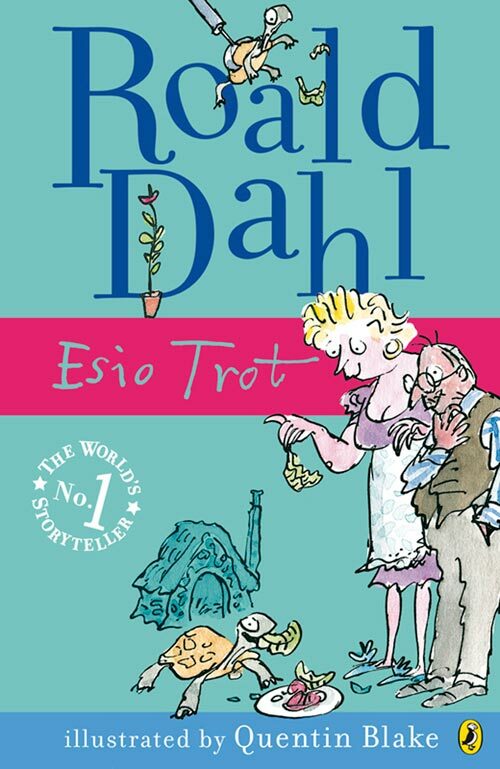 Alfie from Esio Trot must come first. TEG NO, TEG NO, ELBBOG DOOF! 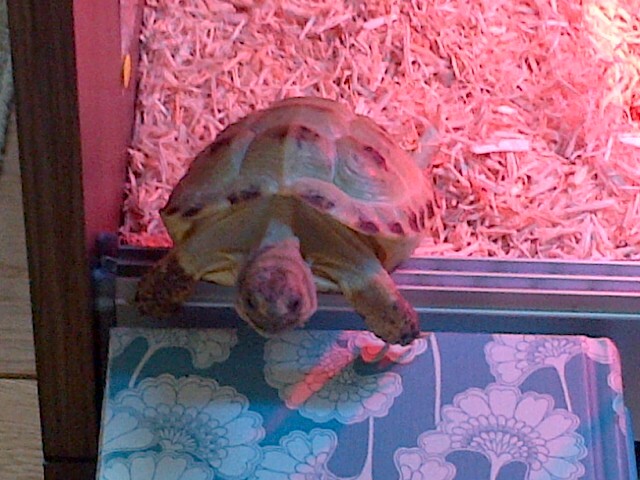 He tells Mrs Silver to whisper this spell to her tortoise three times a day and, he assures her, Alfie will get bigger. They are of course normal words written backwards! Having bonded over Alfie, Mr Hoppy plucks up the courage to ask Mrs Silver to marry him and everyone – including the original Alfie – lives happily ever after. Who knew tortoises could be such a fruitful conversation opener?! Yes, there is Aesop’s fable, which we all know so well, with its moral that slow and steady wins the race. 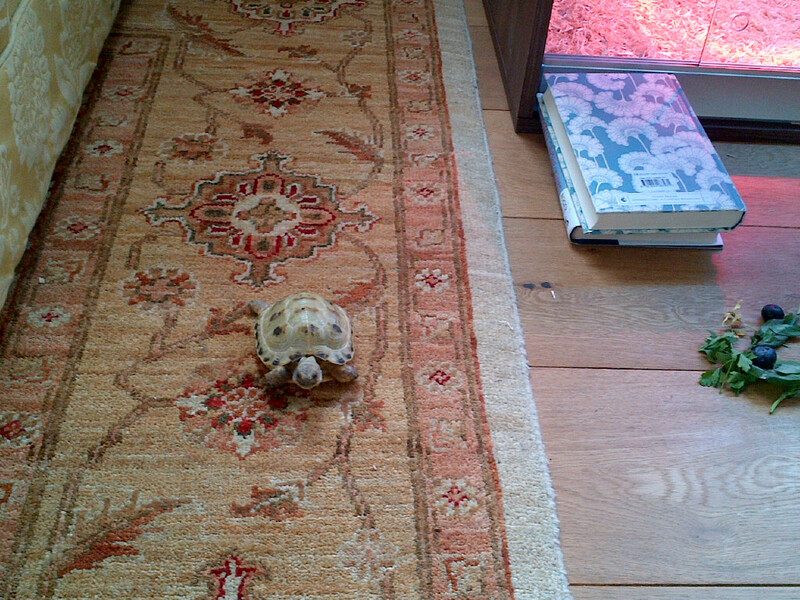 I have to say, little Daphne is surprisingly speedy. Look at her go! I am thinking, however, of the novel by Elizabeth Jenkins, which I wrote about at length here. 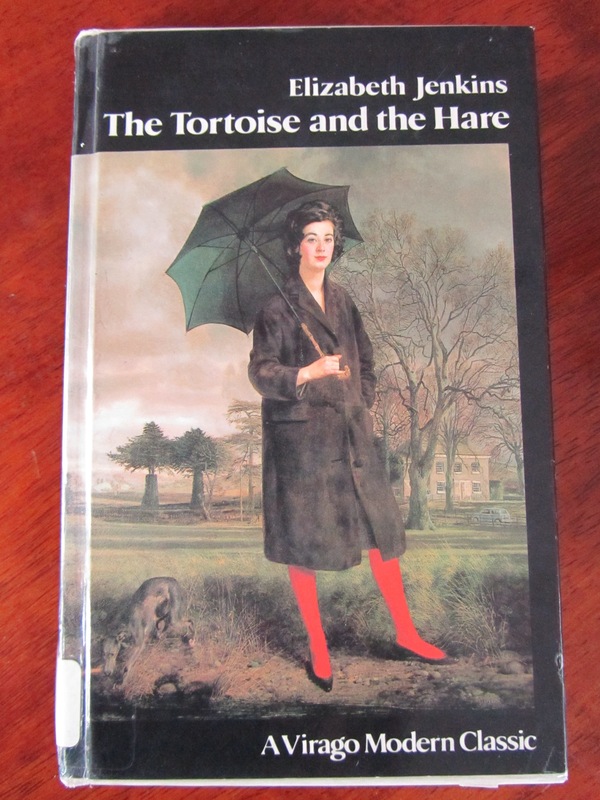 This wonderful, too-often overlooked novel from the 1950s is another tortoise love story, although rather more complicated, adult and with only a metaphorical tortoise. Lovely, gentle self-effacing Imogen is married to brute of a bullying barrister husband Evelyn. Their neighbour – stout, brash Blanche Silcox – makes a play for Evelyn … which of these utterly contrasting women will win? What is so clever about Jenkins’s book is that as you read it, you’re forever questioning who is the tortoise and who the hare. I suppose it depends a little on where you think the finish line is. Is Evelyn really the prize, or is it independence and freedom from such a brutish man? It was a small tortoise with Julia’s initials set in diamonds in the living shell, and this slightly obscene object, now slipping impotently on the polished boards, now striding across the card-table, now lumbering over a rub, now withdrawn at a touch, now stretching its neck and swaying its withered, antediluvian head, became a memorable part of the evening, one of those needle-hooks of experience which catch the attention when larger matters are at stake. I was leaving part of myself behind, and that wherever I went afterwards I should feel the lack of it, and search for it hopelessly, as ghosts are said to do, frequenting the spots where they buried material treasures without which they cannot pay their way to the nether world. 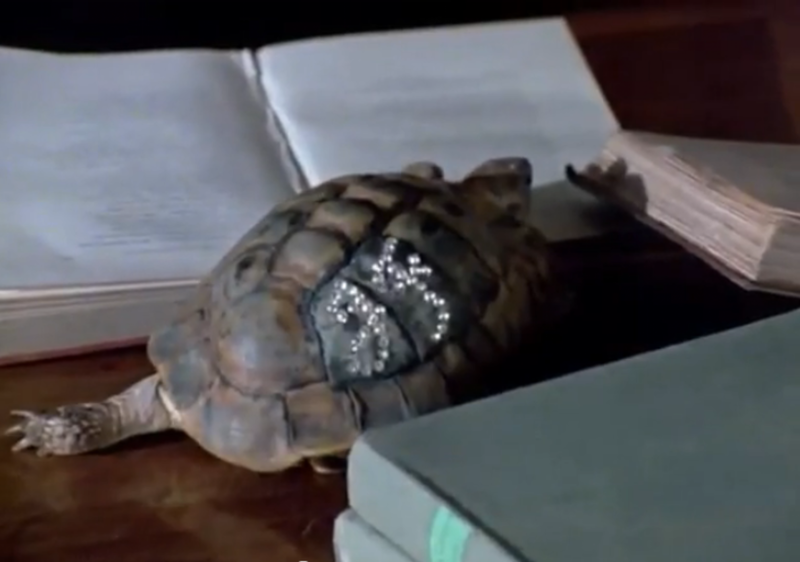 A diamond-encrusted tortoise would get you far indeed into the nether world. Not as far, however, as Catholicism, as Waugh is keen to point out. had an uncanny knack of making themselves so inconspicuous that you either overlooked them or forgot ever seeing them… Since nobody noticed them, nobody stopped to wonder where they had come from, or indeed, were still coming from, for their numbers continue to grow with every passing day. I used to associate them with men in suits. Perhaps that’s the point. It is a wonderfully anti-establishment children’s book. Momo is a little orphan girl, with a knack for listening to people. When the Men in Grey turn up, they persuade everyone that they have to ‘save time’, which results in them stopping doing everything fun and always being in a rush. It’s an awful trick, of course. Everyone becomes miserable thanks to their time-saving, but the Men in Grey need everyone else’s time to survive, smoking their sinister cigars of hour lilies. Yes, it is a surreal book. 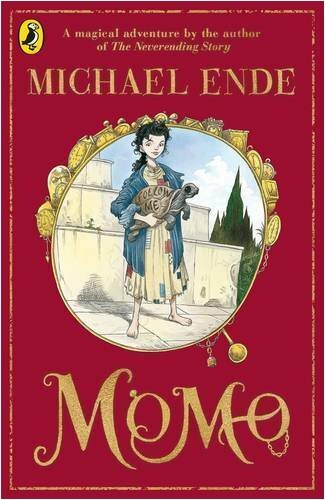 Momo fights against the grey men with the aid of Professor Hora and his tortoise, Cassiopeia, who can see half an hour into the future and – better yet – can communicate, helping Momo by making words appear on her shell. 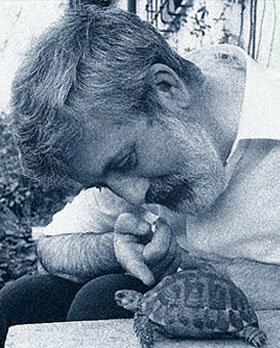 Apparently Michael Ende had a soft spot for tortoises. I don’t blame him! And move on your slow, solitary hunt. No one ever heard you complain. And a baby makes none. And look with laconic, black eyes? You are so hard to wake. Are you able to wonder? Set forth, little Titan, under your battle-shield. And you are slowly moving, pioneer, you alone. Suddenly hasty, reckless, on high toes. In the slow dignity of your eternal pause. Your little round house in the midst of chaos. Over the edge of all things. Like a gentleman in a long-skirted coat. Let us hope that little Daphne will inspire me to similar great heights of tortoise literature. And yes, that book on to which she is climbing is none other than The Tortoise and the Hare by Elizabeth Jenkins. I love Persephone Books. I admit that they momentarily sank a little in my esteem when they were featured on Made in Chelsea, but I can’t get too high and mighty about that as I was the brainless fool guiltily watching Made in Chelsea and noticing. You can probably imagine my excitement when I discovered that Nicola Beauman, founder of Persephone Books, writer and feminist extraordinaire, had discovered EmilyBooks. It made my month. 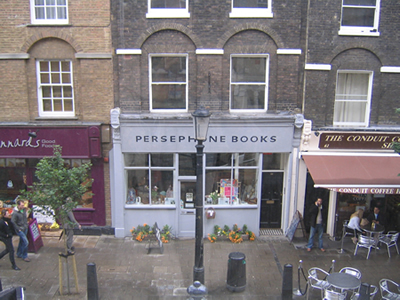 In her fortnightly letter to keen Persephonites she noted my mention of Persephone in a Spectator article. It just so happens that Persephone have just published Harriet by Elizabeth Jenkins, so when she found my blog and saw my piece on The Tortoise and the Hare, also by Elizbaeth Jenkins, she saw fit to link to it. Oh joy! 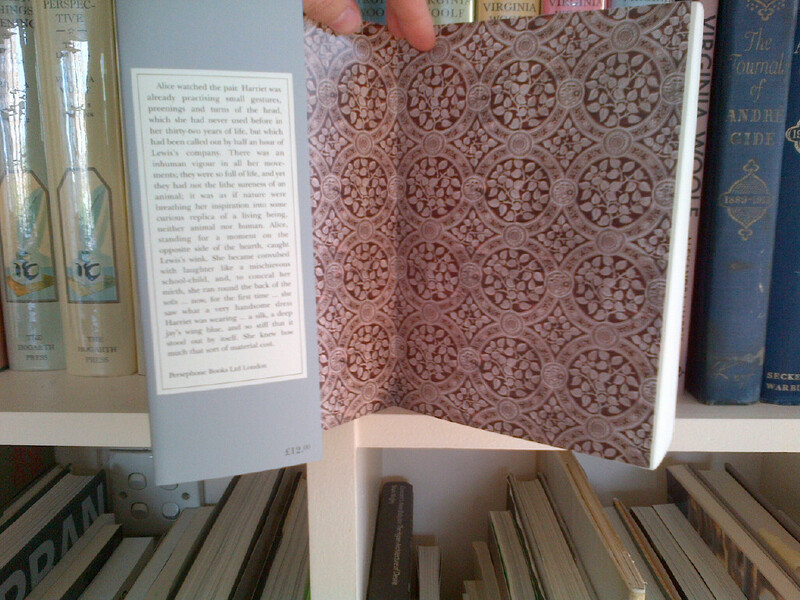 When I wrote to thank Nicola for the mention, she very generously sent me a copy of the new Persephone book. Harriet is a ‘natural’. (Yes, it’s an old-fashioned word but it sounds kinder and less clumsy than saying she’s not quite right in the head.) In spite of this, she has quite a happy life, having a substantial amount of money, a well-meaning mother and taking pleasure in pretty trinkets and fine clothes. Along comes Lewis Oman, a handsome auctioneer with not much money and very bad intentions. He carries on with young, pretty, terrifically vain Alice Hoppner, whose sister Elizabeth is married to Lewis’s brother Patrick. Lewis decides to get Harriet’s money and to this end he woos her and persuades her to marry him. Harriet may be thirty-two, but she has never yet been romantically pursued and she falls at his feet. Her mother realises something is up but can do nothing to stop them. Harriet is too old to be under her legal protection, the circumstances are too suspiciously sudden for her to be able to get Harriet certified as a lunatic, and so powerful is Harriet’s love for Lewis that she pays no attention to her mother’s objections. So Lewis marries Harriet and gains her fortune. It isn’t long before he’s manipulated the situation so that he has farmed her out to Patrick and Elizabeth for a pound a week, as they need the money. Lewis, meanwhile, sets up a very comfortable home nearby with Alice, who pretends to be his wife. Harriet is gradually deprived of more and more. First her fine clothes, then her own place to wash, then food, then even the freedom to move. Eventually she is reduced to a filthy, lice-infested creature, regularly beaten, kept in a small dirty room with a boarded up window, starving to death. Worst of all, this is the fleshing out of a true story, tightly based on court records of a notorious Victorian court case – the Penge Mystery. Elizabeth Jenkins certainly had it in for marriage. You might remember how upsetting I found The Tortoise and the Hare. Well this makes the dying marriage in that look positively heavenly! I wonder what drew Jenkins to examine unhappy marriages to such an extent in her novels. 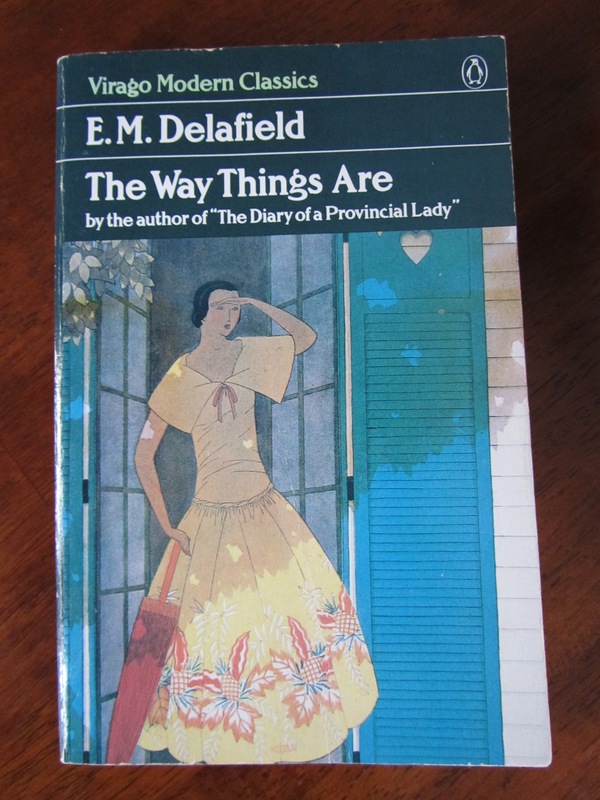 If these fictional portrayals of married life are really how she imagined it to be, then it’s no wonder that she refrained from tying the matrimonial knot herself. A little aside here to say that I read the majority of Harriet on Saturday night when I was feeling rather unwell. I had cancelled all my plans and had slept through most of the afternoon. The husband was out on a stag do. I awoke at elevenish, feeling ghastly and not sure what to do with myself. There was nothing much to eat, other than a dwindling supply of frozen hot cross buns from Easter, and I was feeling too shaky and fragile to go out and buy anything. So I ate a hot cross bun and felt sick and read Harriet on the sofa. I finished it at about two o’clock in the morning and was in a terrible state. There I was, confined to our flat, feeling dreadful, starving to death… not unlike Harriet herself! 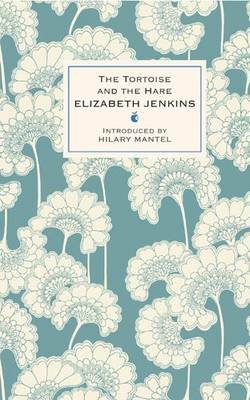 The dreadful thing was that because I’d reacted so miserably to The Tortoise and the Hare, sobbing uncontrollably in a way that he’d found completely puzzling, I felt I couldn’t admit to being in such a state thanks to another Elizabeth Jenkins novel. All I could say, quite feebly, was that I was all alone and wasn’t feeling well and he hadn’t left me any food. He was terribly unimpressed. Yes, this is a very upsetting and shocking novel, but it is completely brilliant. It would be so easy to write it badly. Here’s a sensational court case, full of drama – greed, murder and evil. How easy it would be to overdo it! Jenkins takes an altogether different and masterful approach. Instead of revelling in the horror, she employs a magpie’s eye for finery. The book is as much a fashion magazine as a chronicle of despair. When we first encounter Harriet, we learn not only of her ‘sallow countenance’ but of her ‘garnet earrings and a shield-like brooch of pinchbeck pinned to the front of her dress, which was a handsome blue silk’. 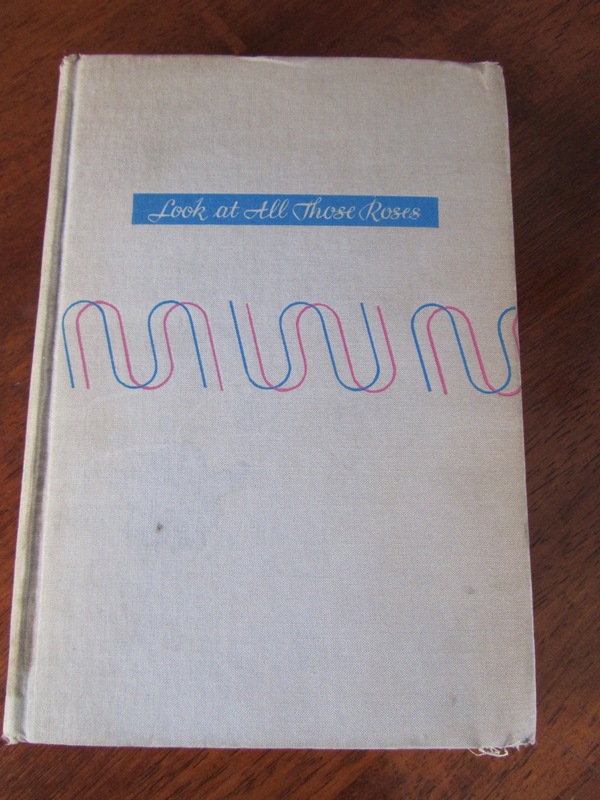 Throughout the novel, everything is rendered in exquisite detail, be it the rose-red velvet looped on Harriet’s mother’s mantelpiece or the lilac crepe dress of Alice’s fantasies. Appearance is everything. Then she saw for the first time what Alice was doing. All around were spread pieces of a dress that had been unpicked and was being pressed before it was made up again; pieces of stiff silk, a beautiful, deep blue like a jay’s wing. Elizabeth looked away without saying anything. The same comparison to a jay’s wing was used earlier in the book to describe one of Harriet’s dresses. Alice wanted the dress and now Alice has got it. What a metaphor! Alice is taking Harriet to pieces. She is taking her finery and refitting it to her own design. She is stepping into her shoes – or into her dress – as Lewis’s wife. It is a brilliantly revealing scene. This keenly focused attention to appearance also calls up its opposite – disappearance. Harriet’s mother eventually realises something terrible is happening to her daughter and tries to find and rescue her. She looks and looks, but to no avail. Harriet has been made to disappear. Alice has ostensibly become Mrs Lewis Oman in her place. Harriet is confined to an upstairs room, seen by scarcely anyone. On Harriet’s mother’s suspicions, a policeman is stationed at the end of the road to keep an eye out for anything untoward, but Harriet doesn’t leave the house – she never appears – so he has nothing to report. The body was fearfully emaciated and filthily dirty all over, particularly the feet. The skin of the feet was quite horny, as if from walking without shoes for some time. There were lice all over the body. On the head I found real hair and false hair very much matted. We pulled the false hair off with forceps to get to the scalp. It’s too terrible for words. Except, of course, against the foil of so many words throughout the novel describing beautiful tactile things, here Elizabeth Jenkins has found the perfect words to convey the terror and the horror of it. I must be more sentimental than I realise. This is the second book within a month that has left me in tears. Although, whereas Now All Roads Lead to France provoked just a little watery dribble from a moistened eye, The Tortoise and the Hare inspired a fit of wild sobbing. I finished The Tortoise and the Hare late on Friday night. We got back from dinner and the husband declared he had to do some computer stuff. I decided to read a bit more of my book, and then somehow got through the final hundred pages in a blurry whizz. I summon the husband. He appears a little later, having been sorting out music or something trivial on his computer, to find me melodramatically heart-broken, bawling into the duvet. All I can feebly croak is, ‘It’s so sad.’ I know I’m being ridiculous and try to laugh it off but the sobs only become more vigorous. The husband decides I’m crazy and brushes his teeth. I pull myself together and console myself with the thought that at the book club on Sunday, everyone else will have found it just as sad. But no, I find that the book club thinks I’m bonkers too. One or two others admit to a lump in their throat. Most found Imogen, the main character, quite annoying. Am I mad? I wonder. Am I really the only person who finds this unbearably moving? Well in order to make any sense out of this, I shall have to reveal the plot and the ending. So I shall warn you when to look away if you think you’re going to read it. 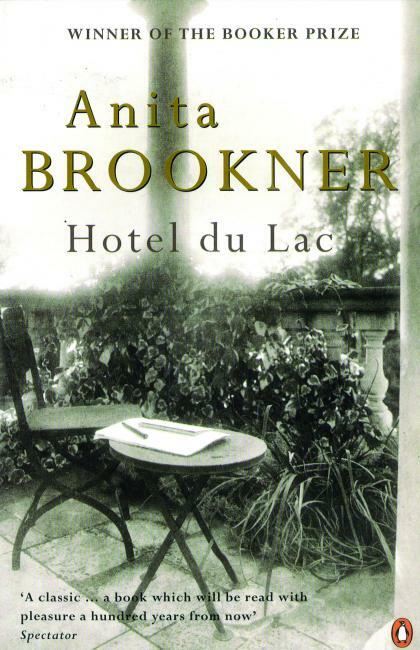 It is SUCH a brilliant book, really, I think that everyone should read it. If I were in charge of the curriculum, I would set it as an A-level text. Everyone would learn so much from it about relationships, and about terribly sad loneliness. In any case, it’s a million times better than The Great Gatsby, which is all anyone seems to remember – other than Shakespeare – from school. Imogen is married to Evelyn Gresham, who is older than her, very ‘distinguished’, intelligent and a bully of a barrister. Their neighbour is a vile person called Blanche Silcox, who is ‘elderly’ (50!) and stout, keenly into shooting and fishing, and very wealthy. Imogen is beautiful and kind and subservient to her husband. She longs to make him happy. She loves poetry and is quite dreamy, which her husband doesn’t understand at all. It becomes clear from the beginning that Blanche is making a play for Evelyn. Why on earth would Evelyn leave the lovely Imogen for horrid stout old Blanche? But, puzzling though it may be, their ‘friendship’ escalates and it eventually becomes clear that they’re having a full-on affair. The title of the book – The Tortoise and The Hare – of course brings to mind Aesop’s race, in which the slow and steady, gentle tortoise outdoes the bragging brash hare. 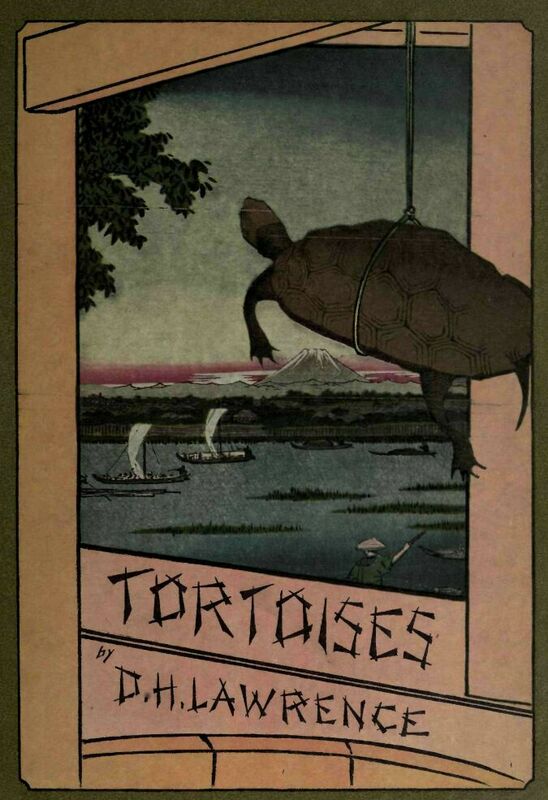 With such a title, Elizabeth Jenkins asks the reader, who is the tortoise and who the hare? It’s a clever title. It’s hard to decide who’s who and one’s opinion can’t help but change as the book progresses. 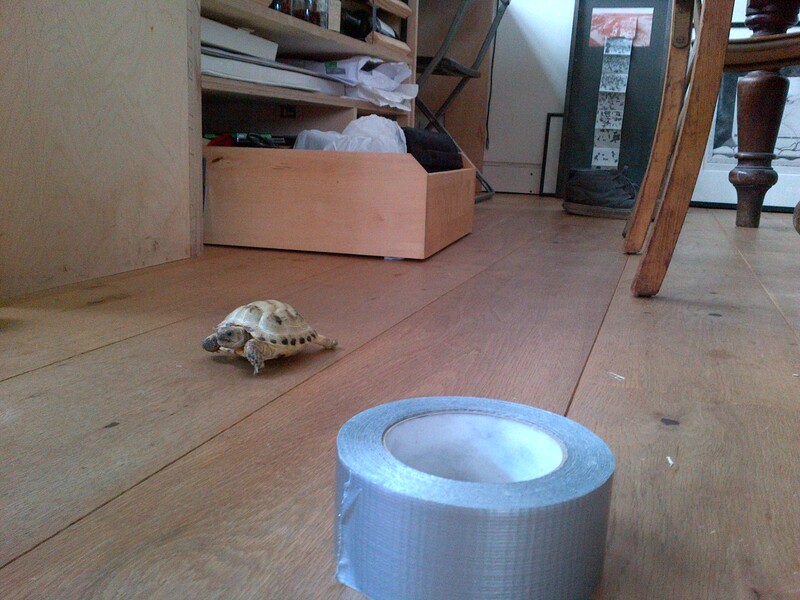 Initially I thought Blanche the tortoise – she’s fatter and older, whereas Imogen is slim, lithe and nimble. But then I thought it the other way round. Imogen is gentle, she steadily plods on with her life, whereas Blanche is quickly and aggressively going for Evelyn. Having decided that Imogen is the tortoise and that in any case she is a lovely, sympathetic character, who deserves goodness and happiness, I kept on waiting for the tide to turn at the last minute, and for Evelyn to realise what a horrid idiot he is and how much he is hurting her and then give up vile pushy Blanche and commit himself to his wife, fair Imogen. But – and this is what was so unbearably sad – there is no fairytale happy ending. The tortoise doesn’t win! Evelyn leaves Imogen for Blanche. And Imogen is left broken. Poor Imogen!! He had acquired two elegant little semi-detached Regency cottages, in sound condition, that stood at the end of the village street. These he tore down, and erected on their site a concrete dwelling with windows the size and shape of those in a railway dining-car, through which could be seen a spiral staircase with copper finish ascending from the ground-floor living-room to the upper storey. 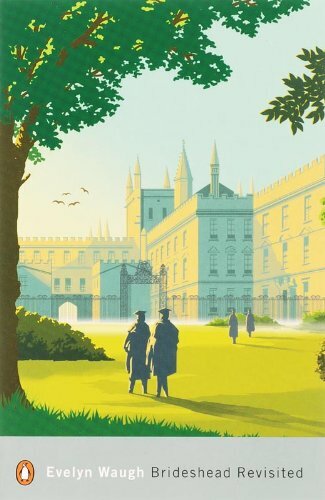 And so are people like Cecil Stonor, the androgynously named friend of Imogen’s who works in a publishing house, has her own London flat, and invests on the stock market. Even the ghastly Blanche can drive and understand stocks and shares. Women are inserting themselves into a man’s world. It is no longer possible to be Imogen and waste away at home, pining and reading poetry. Fair point Elizabeth Jenkins. But I can’t help but feel it’s not really fair on Imogen. Is it really her fault that she’s so left behind, so at odds with the current climate? On reflection, the ending isn’t quite as sad as I initially felt it to be. It ends on a note of hope – a new stage, a new adventure. Throughout the novel, Imogen has been on a journey, learning to understand the new way of things through imagined whispers of nature, nights of lying awake in the moonlight, and troubled dreams. Imogen has grown and we end the book with her better-equipped to face the changing world around her, and the feeling that she will be happier. I suppose it’s still just so dreadfully sad that she had to go through such a terrible time in order to come out the other side of it. Either that or I really have become a sentimental old fool. 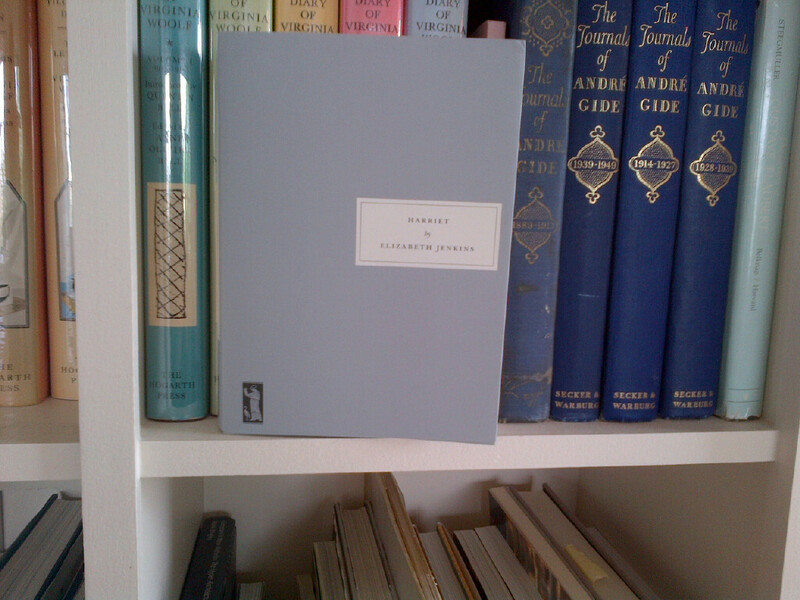 Incidentally, I loved reading this neat, elegant hardback edition, which Virago brought out last year. 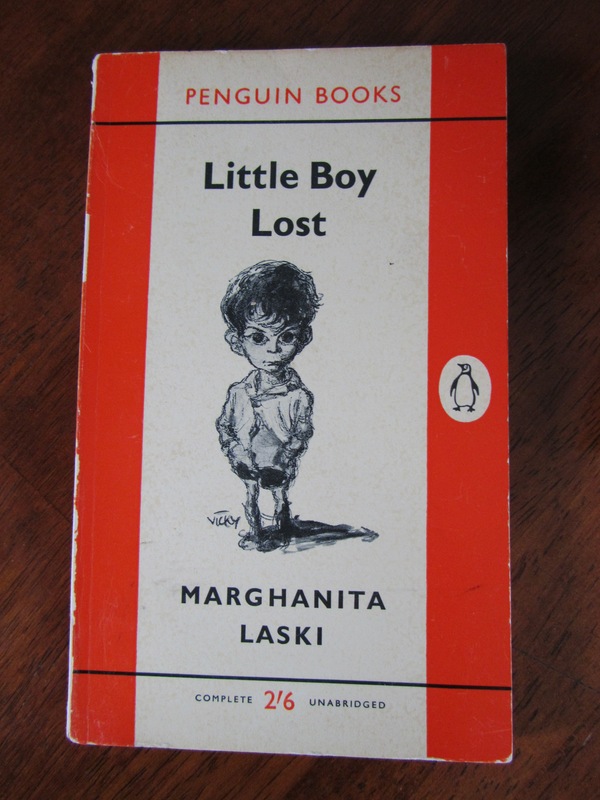 Far nicer than the paperback, which has a silly belittling cover.